Understandably, the looming threat of losing mental abilities is frightening for many older adults. But exactly what is Alzheimer’s, and how do we know we have it? What is Alzheimer's disease? Simply put, it's a devastating condition that compromises the ability to remember, think, and take care of oneself. Anyone who has seen the effects of Alzheimer’s disease on a loved one knows it’s a devastating condition—one that that compromises not only the ability to remember and to think but to take care of oneself. But what is Alzheimer’s? From about middle age onward, most people notice subtle changes in their mental abilities, particularly in their memory. You may forget the name of someone you just met or not remember where you parked the car. It may take longer to process information or make calculations. These types of changes are practically universal, but they don’t necessarily mean you have Alzheimer’s disease or another form of dementia. Alzheimer’s is the most common of several causes of dementia. People with dementia have such significant declines in memory and thinking that it becomes increasing difficult to engage in basic daily activities and communication. Some types of dementia can be reversed, at least somewhat. Others, like Alzheimer’s disease, cannot be “turned back,” and instead get progressively worse over time. A condition called mild cognitive impairment falls between normal forgetfulness and dementia. Some older adults have problems with memory, language, and other mental functions that are more pronounced than normal age-related changes but that don’t fulfill the criteria for dementia. This condition is called mild cognitive impairment (MCI). If memory alone is affected, the condition is called amnestic MCI. People with MCI may also have problems with other types of mental function, such as language and problem-solving. When they’re tested, people who have MCI remember less of a paragraph they have read, or fewer details of a simple drawing they have seen, compared to those with normal age-related memory changes. Such issues may be noticeable in people with MCI, but they don’t necessarily affect day-to-day functions. MCI can be, but is not always, a transitional state between normal aging and Alzheimer’s disease. Some people with MCI don’t get worse and don’t develop dementia, and some may even get better. 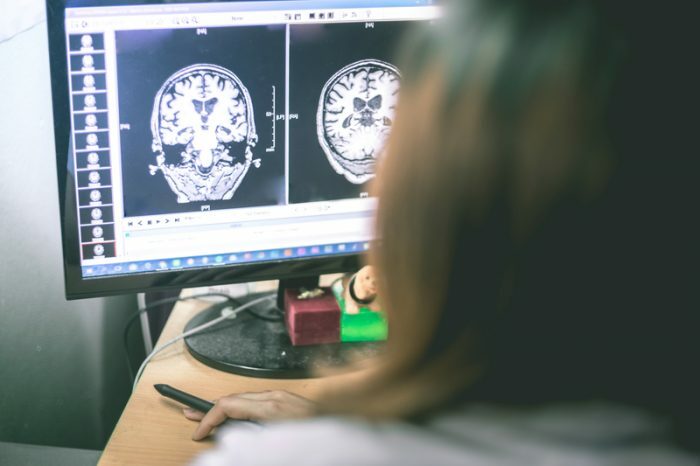 Researchers are looking for specific characteristics that indicate a person with MCI is on the way to developing dementia. The term dementia refers to a severe decline in mental ability. 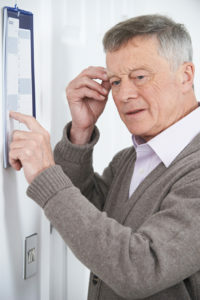 People with dementia have impairments in the brain that affect memory and other types of mental functioning, such as reasoning, judgment, language, and abstract thinking. Unlike with age-related forgetfulness, the memory and thinking problems of dementia make daily functioning increasingly difficult. Over time, the ability to engage in day-to-day tasks at home, at work, or in social situations become severely diminished. Activities like cleaning, organizing, preparing meals, doing household chores, and handling finances can ultimately become impossible. Different causes of dementia can have slightly varying symptoms. They can also overlap. Many people with dementia have more than one type, which is called “mixed dementia.” In fact, many people with Alzheimer’s, according to recent findings, also have vascular dementia. Alzheimer’s disease, which accounts for about 60 to 80 percent of all cases of dementia in the United States, is well known as a memory-robbing disease. But, like with other forms of dementia, people with Alzheimer’s also have difficulty with various vital mental functions—language, judgment, and problem-solving, for example. They may undergo changes in personality and activity level, and they may have mood swings and confused perceptions of the immediate environment. WHAT IS ALZHEIMER’S, AND WHO’S MOST AT RISK? Alzheimer’s disease strikes most commonly after the age of 65, but it can also occur as early as age 30 in people with a rare form of hereditary Alzheimer’s. About 5 percent of people with Alzheimer’s disease have the hereditary form. Most people who have Alzheimer’s disease—some 81 percent—are age 75 or older. Around 11 percent of Americans age 65 and older have Alzheimer’s; about 33 percent of people age 85 and older have it. More women than men have Alzheimer’s; the fact that women tend to live longer has been proposed as the reason. Almost two-thirds of all Americans with Alzheimer’s disease are women. The changes are subtle at first and become worse over the years. Eventually, people with Alzheimer’s must depend on others to care for them. More than 5 million Americans are living with Alzheimer’s disease, and it’s the 6th-leading cause of death in the United States. The total number of people with the disease is climbing steadily, due in part to longer life expectancies and an increasing population of people over age 65. On the other hand, the individual risk for Alzheimer’s disease may be declining. Research that analyzed 30 years of data from a large health study found there was a decline in the number of new cases of dementia among people with at least a high school diploma. Another study found that the rate of Alzheimer’s and other dementias declined between 2000 and 2012. The reason for this drop is not known. It may relate in part to improvements over the past decades in the control of cardiovascular risk factors, like high blood pressure and cholesterol, conditions that raise the risk for dementia. Education may also play a role, as the declines were observed in people who had at least a high school diploma. Is There a Cure for Alzheimer’s? At the same time, many experts believe the best chance to truly make an impact on Alzheimer’s disease involves prevention. Today, we have a better understanding of Alzheimer’s, and new therapies under development may prove beneficial for treating the disease even before symptoms arise. This post is adapted from 2019 edition of Alzheimer’s Disease: Advances in Prevention and Treatment, published by Belvoir Media Group and the Icahn School of Medicine at Mount Sinai. Click here for more information. a memory, aging, alzheimer, alzheimer s association, blood pressure, brain, cardiovascular, cardiovascular risk, cardiovascular risk factors, causes of dementia, cholesterol, cognitive impairment, cure for alzheimer, dementia, dementia symptoms, Forgetfulness, forms of dementia, health, high blood pressure, high blood pressure and, mci, memory, mild cognitive, mild cognitive impairment, mild cognitive impairment mci, mixed dementia, mood, personality, report, the memory, types of dementia, vascular dementia. I thought you might be interested in this article on https://universityhealthnews.com: What Is Alzheimer’s?